The Arvada HVAC techs here at Cool Sunshine Heating and Air Conditioning, Inc. handle everything, from heater and AC repairs to custom ductwork design for remodels and custom homes. And you’ll quickly find that we’re the people you want to work with, because we do all of that with pride! That’s not something that can be said for a larger, "Big Box" national chain. Our HVAC company was built from the ground up by Colorado natives and we look forward to making you a part of our family. To schedule heating and air conditioning services in Arvada, CO, contact our team today! Contact us today for your Arvada, CO heating, cooling, and indoor air quality needs. One of the hardest decisions you may make as a homeowner is when it’s time to replace your air conditioner. After all, an AC replacement is a big investment, and you don’t want to do it sooner than your budget can really allow. But what you want to consider, especially if your air conditioner is 10-15 years old, is whether it’s really working as efficiently as it once did. If you’re paying more money that you should be every month to cool your home, then a new air conditioner is likely going to be more cost effective! 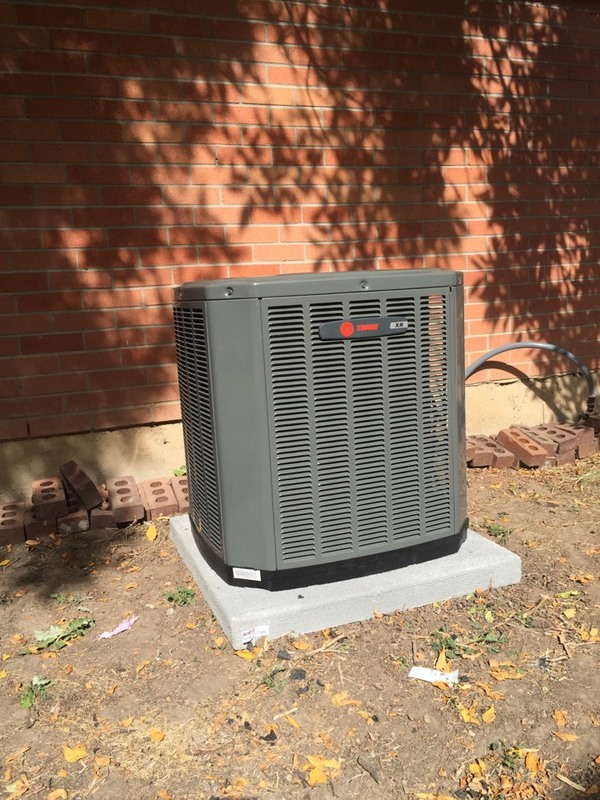 Your Arvada, CO home deserves effective and efficient cooling all summer long. But it can’t receive this if your air conditioner isn’t properly cared for. For example, when is the last time you had air conditioning maintenance done? You should be scheduling AC tune-ups once a year (twice a year, if you have a heat pump) to ensure that it’s thoroughly inspected and cleaned, and that our technicians can spot any needs for AC repair right away, before you’re faced with an emergency breakdown. When you set out to invest in a new heating system installation, you want to make sure that system is the right size for the space you need it to heat. Therefore, it may seem like the biggest and most powerful heater is the right answer. Unfortunately, it’s often not. While this is less of a concern for boiler installations, if you’re investing in a furnace installation, the wrong sized heater can cause a few problems-namely short-cycling, when the system cycles on and off rapidly, wearing down on its parts. Whether you have a furnace repair or boiler repair emergency, or if you just suspect that you have heater repair needs, we will always take you seriously. We are one big happy family here at Cool Sunshine Heating and Air Conditioning, Inc. and we want you to be part of it. That means we treat our customers right! Contact us today for your heating repair needs, or even to schedule heating maintenance to prevent the worst of heater repairs. These days, modern homes in Arvada, CO are sealed up tightly upon construction to conserve energy and keep out many pollutants from the outdoor air. However, this also means when pollutants do get inside, they have no way to escape. For this reason, many homeowners have indoor air quality that’s actually worse that the outdoor air quality. The good news is that we have the right combination of air filters, air purifiers, and even whole-house humidifiers to help with your air quality troubles. To learn more about our Arvada indoor air quality options, call our team today! I can't say in words how great an experience we had. Joyce was great and the installers really cared. The cost was half of what other a/c company's wanted and I got a better unit. TRANE. ? Spelling not my strong suit. I give them a 10 out of 10.